Photo: Field discussion of the geology in today's field trip. 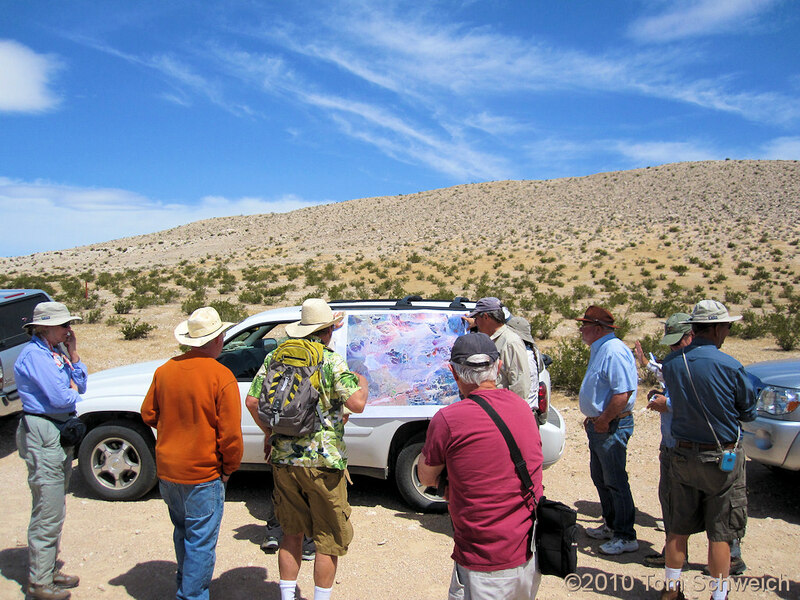 Eastern Mojave Vegetation Field discussion of the geology in today's field trip. Photograph taken April 23, 2011, near Lime Hill, San Bernardino County, California. Harvard Road, San Bernardino County, California: at Temecula St.
U. S. Interstate 15: near Lime Hill. Other photos about Geography - Central Mojave or Lime Hill.